As I said when I introduced you to the Fashion Fights AIDS Staff, no fashion show is complete without hard workers behind the scenes. A great dress is a great dress, but it’s spectacular with the right hairstyle. Good thing we have talented hairstylists like the lovely ladies of Shear Intuition Salon to help with the finishing touches! Cheryl Rust started her career as a hairstylist 12 years ago in Fairfield, CA. In 2001 she began working as an assistant under Master stylist Dino Colla, where she was educated by Loreal Professional and began doing hair for fashion shows. 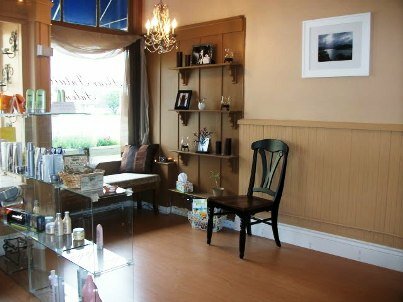 In March 2009 Cheryl opened her own upscale salon, Shear Intuition Salon, in Esparto, CA. Cheryl loves to stay up to date on all the latest styles, trends, and Loreal Professional products, as well as share her knowledge of hair with budding hairstylists. Candice has been doing hair since 2007. Upon completion of her education, she was given the opportunity to assist well known hairstylist Risto Pelivanov; after about a year Candice moved over to Avant Garde Studio in Davis, CA, where she is currently perfecting her skills. Her favorite hairstyles are fun cuts and creative colors for men and women. Candice strives to be an educator for Kevin Murphy products as well as own her own Salon. Angelica began her career as a hairstylist in 2007. She’s currently assisting Hairstylist Risto Pelivanov at the Style Lounge in Davis, CA, while continuing to further her education. Angelica would like to open her own Salon and work with the TIGI creative team. previous post: Kelly Osbourne And Luke Worrall Broke Up Because He Cheated. Allegedly. 50 queries in 1.076 seconds.